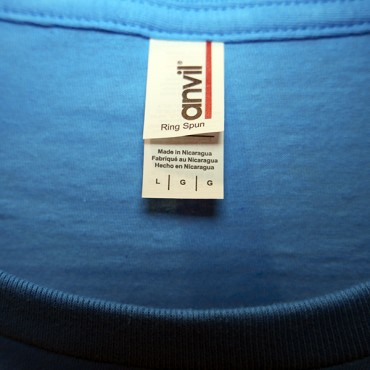 Winter Is Here Tee Design Review. 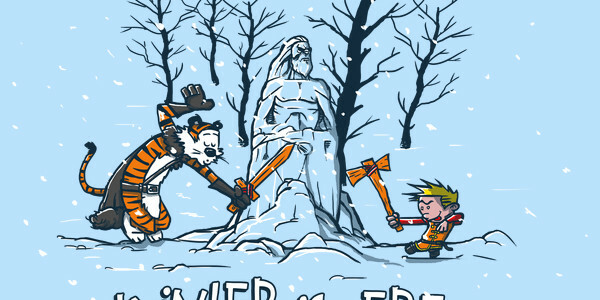 The Winter Is Here tee design is for the Game of Thrones fans that enjoy the Calvin and Hobbes comics. 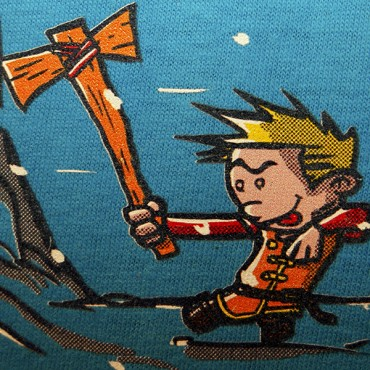 The concept is that Calvin is pretending to be in Westeros and him and Hobbes are play battling each other with wooden weapons in front of a White Walker snowman. Calvin is dressed like a Tyrion Lannister and Hobbes is dressed like Jon Snow. 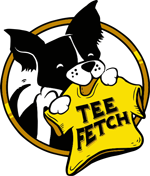 There is also a crow or raven in one of the trees so there are plenty of Game of thrones references in this tee. As for the artwork, the style is emulating Bill Watterson's obviously from the Calvin and Hobbes comic strip. The colors are appropriate and the fabric color choices for this design work well with the artwork as the negative space is a large part of the design. Such as the base color for the White Walker snowman. The shading is good for the style, even though I think that there should be a shadow on Hobbe's face to match Calvin's and the White Walker's shading. The layout itself is well balanced. 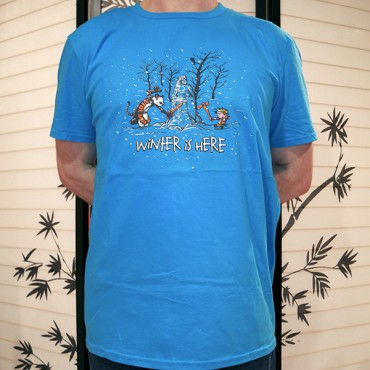 This Winter Is Here tee will make a nice gift for the Game of Thrones fans. Winter Is Here Tee Design by AndreusD.